Russian wine: I’ve never quite thought about it. 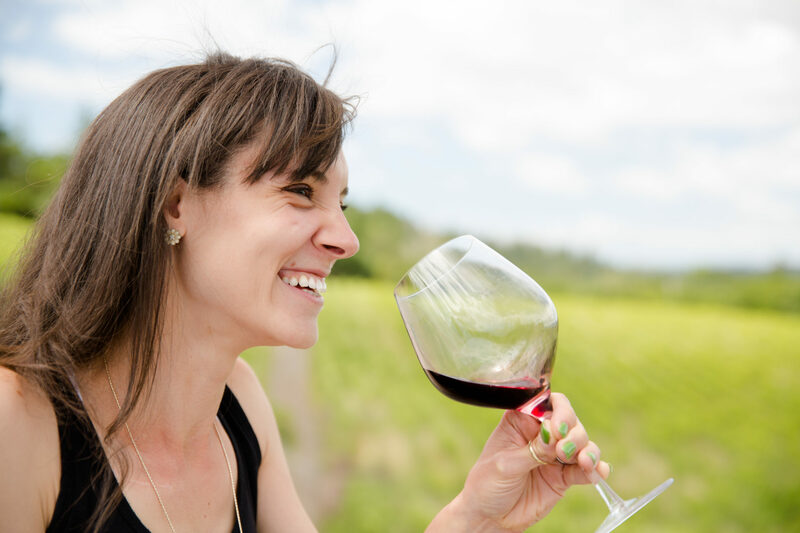 But Big Cork Vineyards is into big ideas — and not just with their bodacious reds. As I’ve mentioned before, Maryland’s climate is actually quite a cold one, especially when compared to the vineyards in my native California. This opens up their little wine country up to a whole host of grapes that are virtually untapped here on the west side. So, how about a taste of SK77-53, SK77-10-69, and XIV 186 my friends? About the Wine: Oh, you’ve not heard of these grape varietals before? That’s ok, neither had I until I popped the Big cork on this Russian Kiss white wine blend from Big Cork Vineyards. According to winemaker David Collins, these hybridized grapes originated in the former Soviet Republics of Croatia and Serbia. Initially brought to the US (Missouri) about 30 years ago for research, today Big Cork Vineyards is the only American winery committed to creating wines from these grapes. “The Small Fruit Specialist here in Maryland made me aware of them,” says Collins, “I decided to send several thousand off for grafting in California in 2014. We now have 2.5 acres of the Russian varieties planted.” So there you have it. 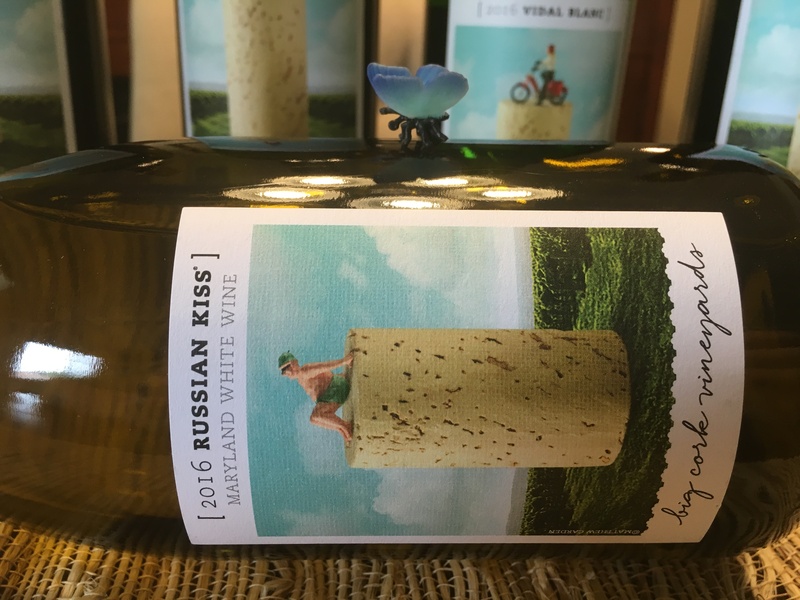 The Big Cork Vineyards 2015 Russian Kiss is made from 62% Muscat and 38% Russian hybrid grapes (SK77-53, SK77-10-69, and XIV 186) — all harvested from the Big Cork Vineyards estate vineyards in Maryland. The blend aged in 100% stainless steel for 6 months. Flavor Profile: I’ve never seen a wine so clear before. The Big Cork Vineyards 2015 Russian Kiss looks 100% clear on the pour and settles into the glass with the lightest shade of sun-bleached hay. Initial aromas are of passionfruit, pineapple, agave nectar, with a thin line of acidity penetrating right through the center of it all. Swirl and the wine opens up to some wet grass and water flower scents. The palate of this just off-dry white blend is pretty much like eating a flower. There’s an undeniable perfumeyness and a very steady medium-level of acidity that rides throughout the tasting. Dominant flavors are of honeydew melon, over-ripe kiwi fruit, passion fruit, pineapple, peach cocktail, and — surprise! — cayenne pepper. That red heat comes in at the very end and stays on the tongue and on the lips for at least 5 to 10 seconds. It’s an interesting and fun change of events that gives this white blend something to talk about besides fruit and flowers. Food Pairing: Cheesecake. I am not a huge dessert person. I am certainly not a wine and dessert person. However, the Big Cork Vineyards 2015 Russian Kiss is asking for a cheesecake. Oh wait…I have a recipe I can share! Try my Pumpkin Cheesecake with the Russian Kiss and tell me what you think. More Info: I received the Big Cork Vineyards 2015 Russian Kiss as a sample for review. (Cheers Amy!) Retail: $28 For more information about Big Cork Vineyards and to order wines directly, please visit the Big Cork Vineyards website.